Kindle is the most popular E-book reader tablet after Apple I-Pad, amazon launched in year 2007 after that kindle dx introduced in year 2009 with larger screen, Most popular kindle types are basic kindle, kindle paper white, kindle fire and kindle fire HD. In this blog will give you some solutions about your Kindle problems or you can visit kindle support USA website which is http://www.kindle.com/support common problem with Kindle device are how to setup kindle?, Kindle password forgot, Kindle device won't charge, Keyboard typing problems, Kindle not connecting to PC, Purple or blue haze on Kindle screen, Kindle overheating, Kindle device freezes, Kindle won't connect to WIFI, No sound in kindle device, Silk browser crashing on kindle. Now let me give you solution about all above mentioned problems. 1. How to setup kindle :- To setup your new kindle follow these steps. A. Connect your kindle device directly with laptop or desktop via USB cable. B. Make sure your laptop or desktop power adapter also connected to power outlet. C. Verify that your kindle is connected correctly by see the USB drive mode screen, if this screen not display then unplug and reconnect your kindle or you can choose other USB port. Now you need to register your kindle Press home button on your computer screen, now press the menu button and make sure that whispernet is turned on, select the settings and then click on register then enter your Amazon ID and your password and click on ok.
2. Kindle password forgot :- Go to amazon website and select forgot password and enter your email address then check your email account and create new password. 3. Kindle device won't charge :- To fix this problem follow below steps. A. Hold power button for 20 seconds till kindle completely turned off, then try plug in the charger. B. make sure you are using the correct cable which you got with your kindle. A full charge will take 4 hours by using original Kindle cable and charger. C. Check charger with other device is it working or not. D. Some kindle have loose charging ports so try by pushing the charger gentely. 4. Keyboard typing problems :- Here are solution for this problem. A. Clean your Kindle touch screen with the help of microfiber cloth. Make sure the case which you are using is fitted correctly and check there are no air bubbles in your screen guard. B. Try to restart you kindle by hold down power button for 20 seconds and start it again. C. Make sure you kindle is charged completely and try step B again. D. Try to do factory reset of your kindle for that swipe from top tap on settings >Device>Reset to factory settings> reset. 5. Kindle not connecting to PC :- Follow below instructions if your kindle not connecting to PC. A. First of all hard boot your kindle by hold down power button for 20 seconds and restart your computer or laptop as well. B. Check once your kindle is fully charged. C. Try with different USB cable. D. If you have any spare USB port then try that as well. 6. Purple or blue haze on Kindle screen :- For this problem you need to contact amazon they will repair your kindle or you might get replacement. 7. Kindle overheating :- Users reported issue that kindle over heating while playing games, surfing internet and watching movies in some cases overheating cause kindle shutdown. This will worse if you have case on your kindle device, so remove it and check if its working fine or you need to visit amazon site www.kindle.com/support to contact amazon. 8. Kindle device freezes :- Turn off device by holding power button for 20 seconds and turn it ON again if that not works then turn off your kindle and plug in the charger then hit the power button again to turn ON the device. If the battery dead then leave it on charging for an hour. A. Turn off your kindle and your WIFI router then start both together. B. Try to reboot your kindle. C. Do factory reset of your kindle as shown in Keyboard typing problems. 10. No sound in Kindle device :- That is the most common problem with kindle device follow below written solution. A. Check you kindle settings display and sound. B. if speakers are not playing then try to reconnect them and reboot your kindle device. This problem occurs if you remove headphone while kindle asleep. C. If you have case on the device and facing problem with head phones then try by removing case from your kindle device check your head phone wire as well it might be cut. D. It is also possible that you have faulty jack or speakers. A. Try the usual restart of your Kindle by pressing power button for 20 seconds. B. Go to settings > Applications > Manage all applications then choose application and clear silk browser data. C. Your device parental control might be blocking your browser check parental control in settings. Here we cover almost all common problems with Kindle if you still have any question post it here or visit our Kindle support usa website which is www.kindlesupportuk.uspcfix.com or reach by dial our phone number from USA / Canada 1-845-652-5929. I had problem with my kindle keypad, same has been fixed with the help of above article. 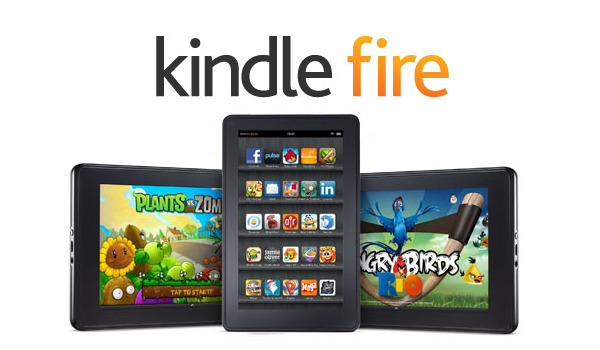 Nice if you have any other problem and now able to fix then visit www.kindle.com/support or ring us on 1-845-652-5929.